JEEP TOUREnjoy the sightseeing in Colombo in a World War II Jeep open deck. 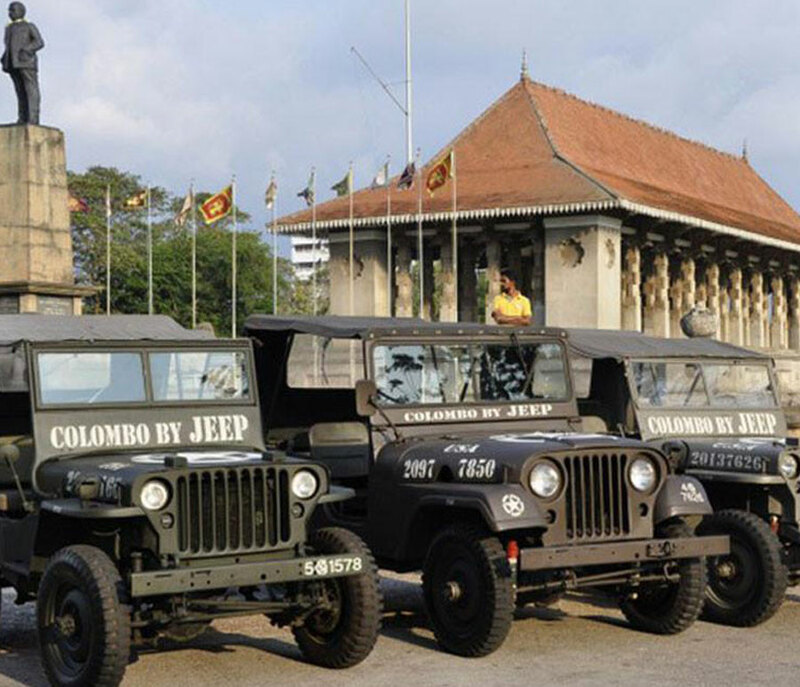 Enjoy the sightseeing in Colombo in a World War II Jeep open deck. 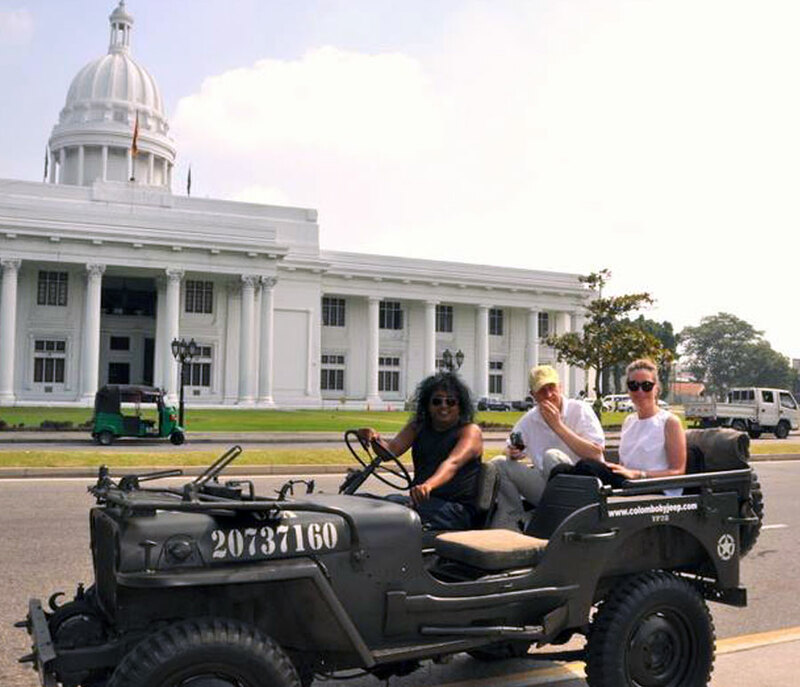 This will be your once in a life time city tour in Sri Lanka where you will enjoy a city tour by a World War II Jeep with a guide explaining about the colonial architecture and monuments in the Colombo city. Have your Lunch and you will be picked up from the city center by one of our representatives from a World War 2 Jeep (1942) / Vietnam War Jeep (1945) / Land Rover series 1 jeep (1948) early version and will commence the tour. Colombo city tour in an open air jeep will give you an unobstructed 360 degree view which is great for taking photographs and filming while sightseeing. 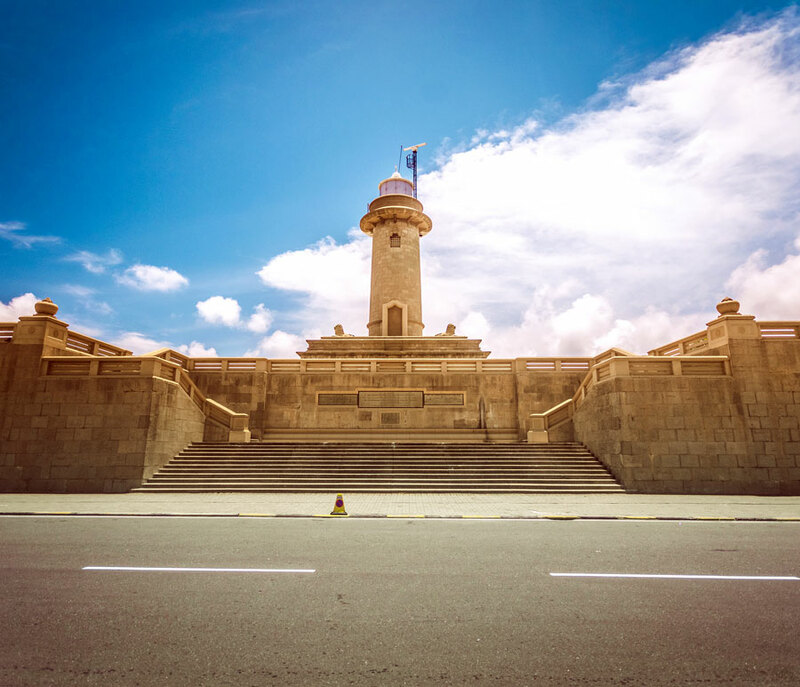 Starting with Galle Face Green, about 20 Archaeological and tourists attraction sites will be covered during the tour. 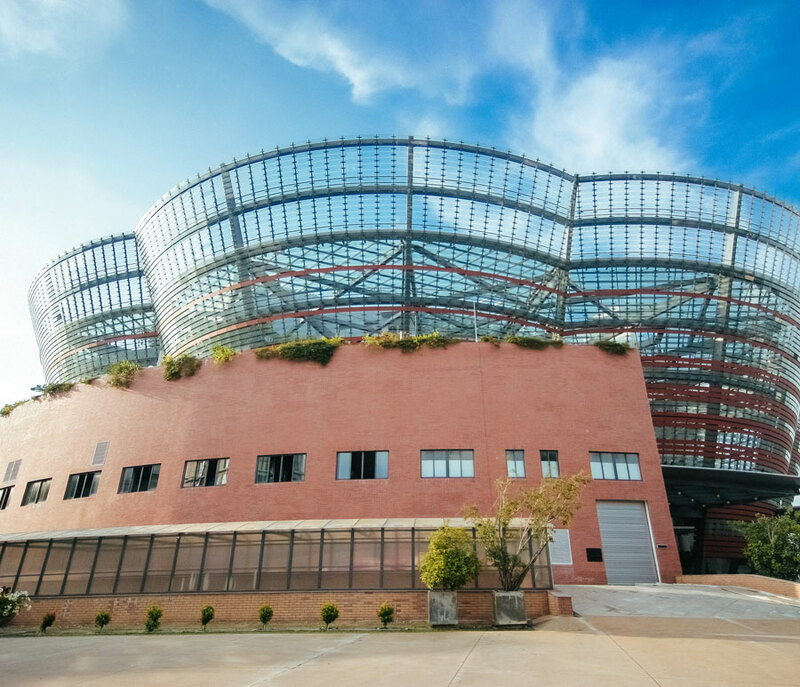 Guests who hail from the northern hemisphere and want to indulge in a bit of sun exposure have the opportunity to do so while enjoying a scenic tour of the city. 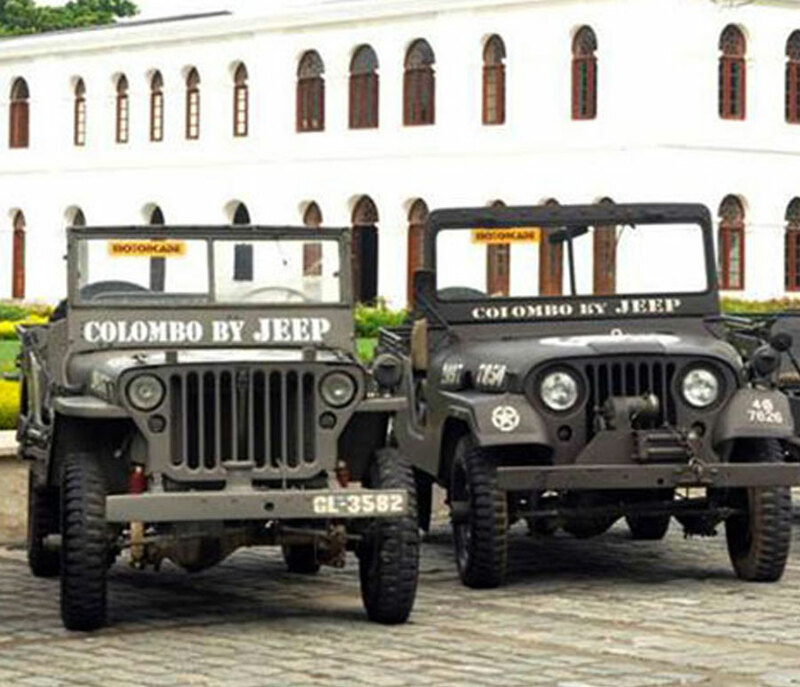 The fleet of classic jeeps is a rare sight on the streets of Colombo and its suburbs. It almost tends to draw a lot of attention from both motorists and pedestrians due to its visual presence. Finally guests can enjoy a self-driving session in one of the classic jeeps in Aththidiya Bird sanctuary. Photographs and video clips of the tour will be given to the guest free of charge. After the city tour you can drop into a local PUB and unwind your evening sipping a chilled Beer or Sri Lankan made cocktail. Return to hotel and end of an enjoyable day trip. Jeep Hire charges Mineral water during city tour.